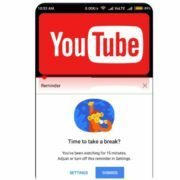 If you are a VLC media player user then you don’t need any third party Youtube downloader software to download various videos from the YouTube website. The VLC media player can do that for you. 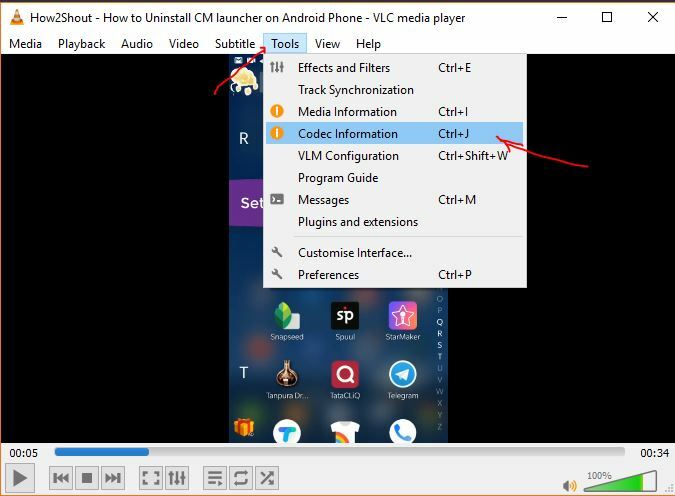 One of the great benefits of using the VLC is it available for almost all platforms: Windows, Linux, MacOS including iPhone (iOS) and Android. It is an open source and free media player software with capabilities to play all the popular video and audio formats. 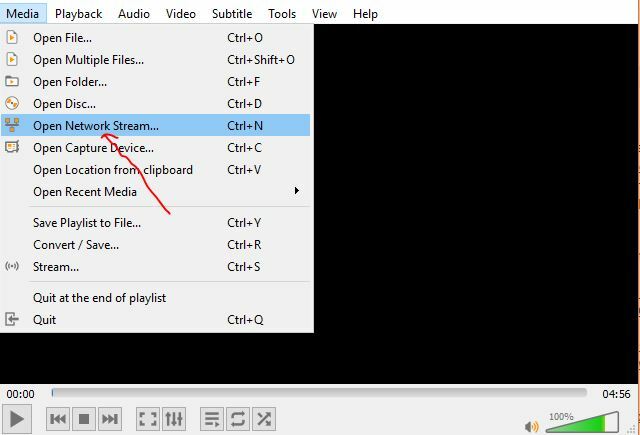 Coming back to our main topic, how to play Youtube videos on VLC player. 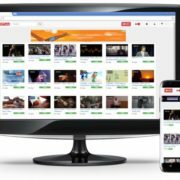 For that you don’t need any kind of youtube to VLC converter or VLC youtube plugin; everything is already there you just need to download the VLC media player and start watching the Tube videos. 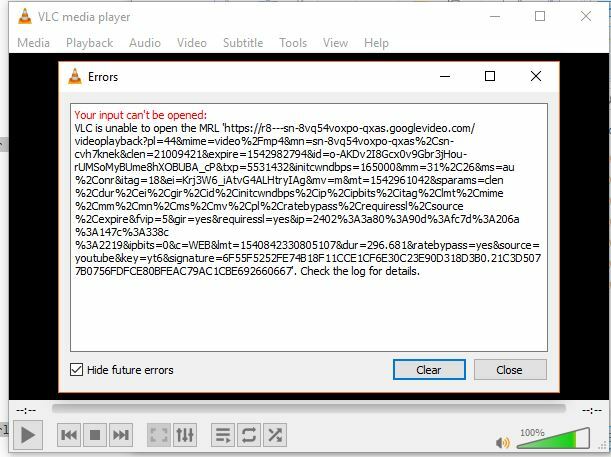 The VLC is not limited to only YouTube videos, it can stream both audio and video from other websites such Vimeo, Soundcloud, anevia_streams, Apple trailers, BBC, Dailymotion, Jamendo, Koreus, Liveleak, Newgrounds, Rockbox Fm, twitch, Vocaroo and even from a local network. If you don’t have this player software, yet, then go to its official website and download VLC player. Here is the LINK. After installing the VLC open it. 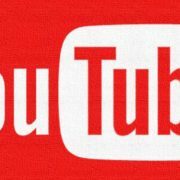 Now in browser open the YouTube. 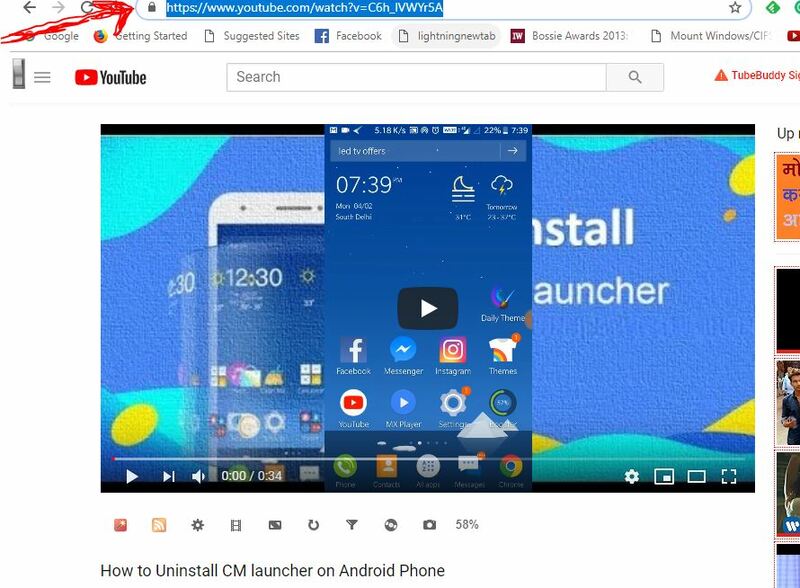 Step 1: Open your web browser with Youtube video which you want to play in VLC media player. Step 3: Open the VLC media player and click on the Media option from the Menu. After that select the option Open network stream. 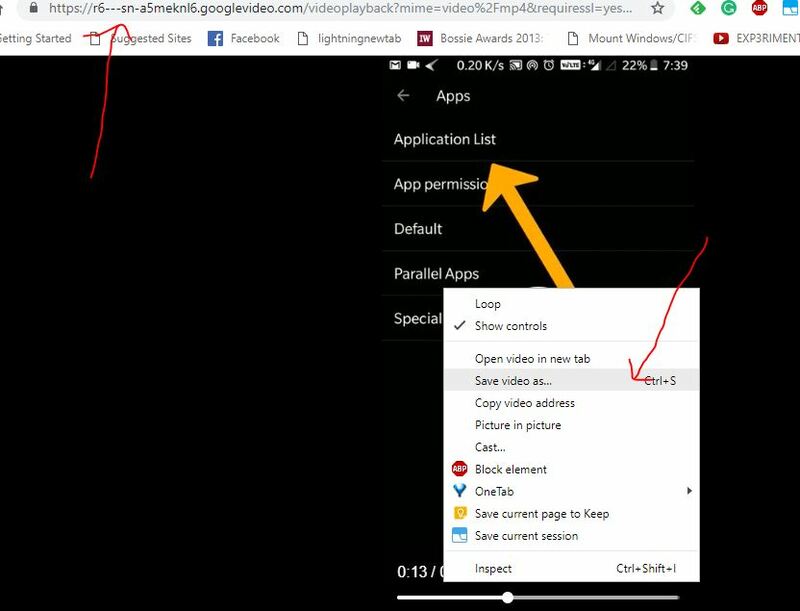 Step 4: Paste the copied Youtube video URL in the Network Protocol URL section and Click on the Play button. Step 5: That’s it... The VLC media will start streaming and playing the YouTube video. 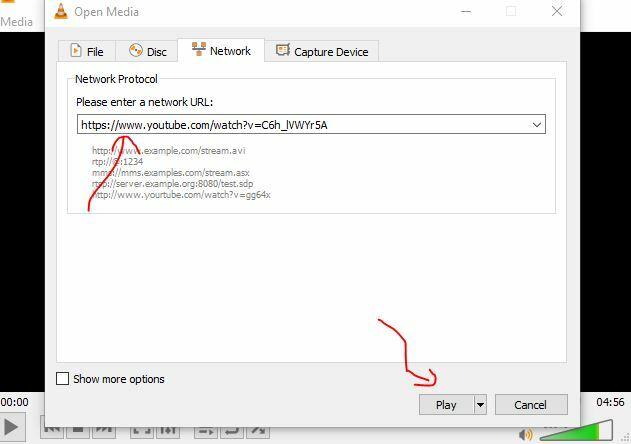 Once you stream and played the YouTube video on VLC media player after that you can also download the same if you want, for that follow the below steps. 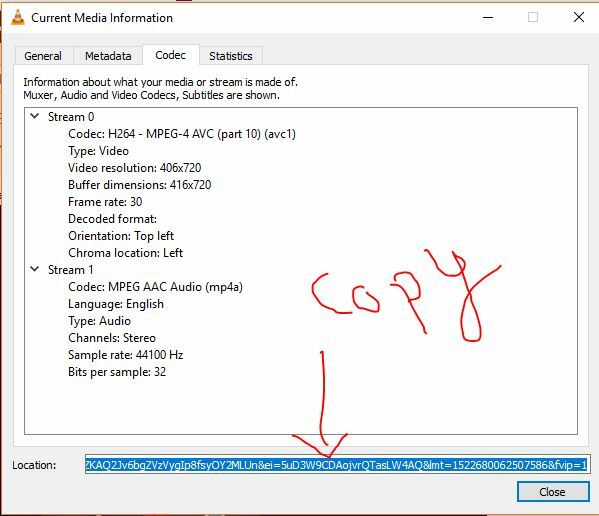 While playing the Tube video on VLC, click on the Tools and then on Codec information (CTRL+J). Now from the Codec Information copy the media link or location as shown in the below figure. 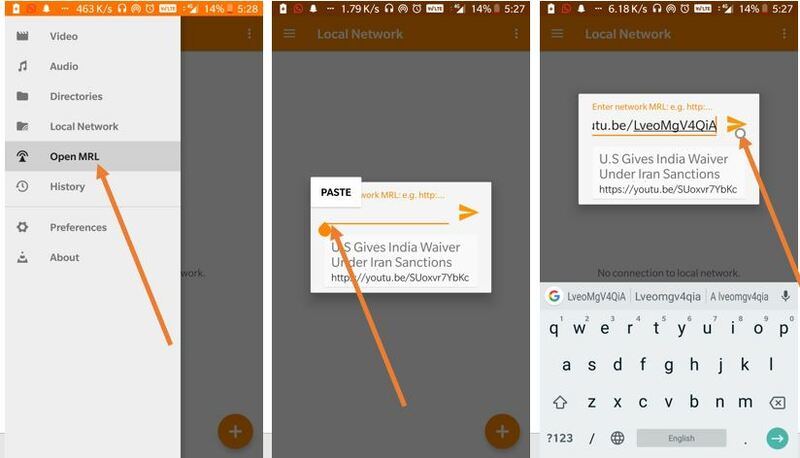 Paste the above-copied link location in the browser and press enter key from the keyboard. When the video starts getting played, right click on that and select the Save as video option (keyboard shortcut CTRL+S). 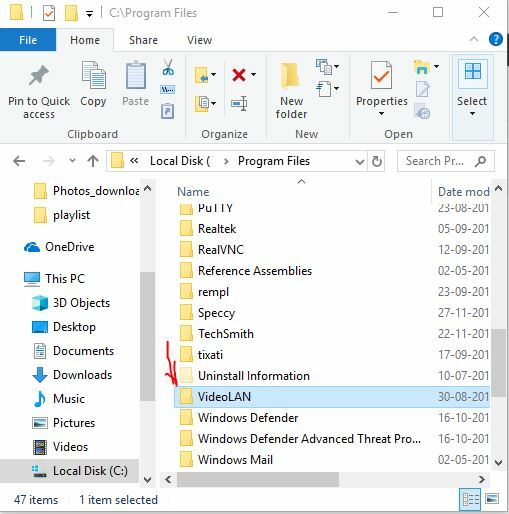 Step 2: Go to C:/ drive of your Windows. 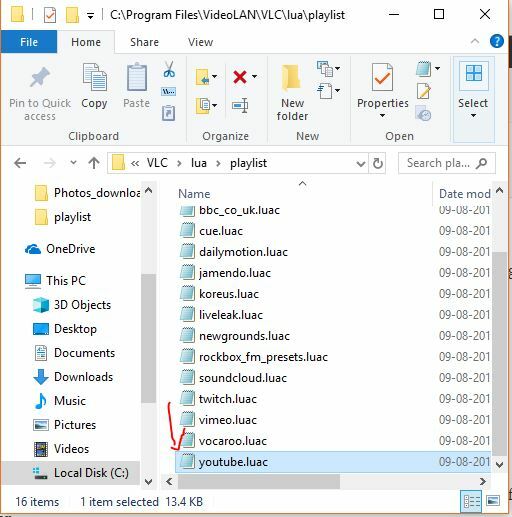 Step 7: Open the youtube.luac with notepad. Step 8: Delete its all content and paste the code given under this link. Step 9: Now save the file. If it did not let you save then save it on Desktop first then delete the previous file and copy the new one into the playlist folder. Step 10: Now open the VLC and again paste the YouTube video URL this time it will work without any error. 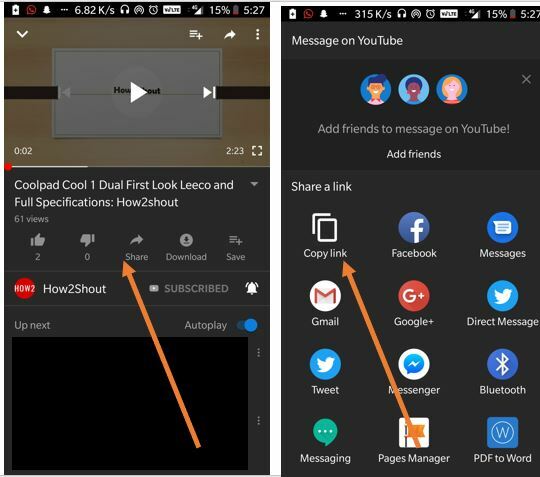 Open the YouTube on your Android or iPhone smartphone. 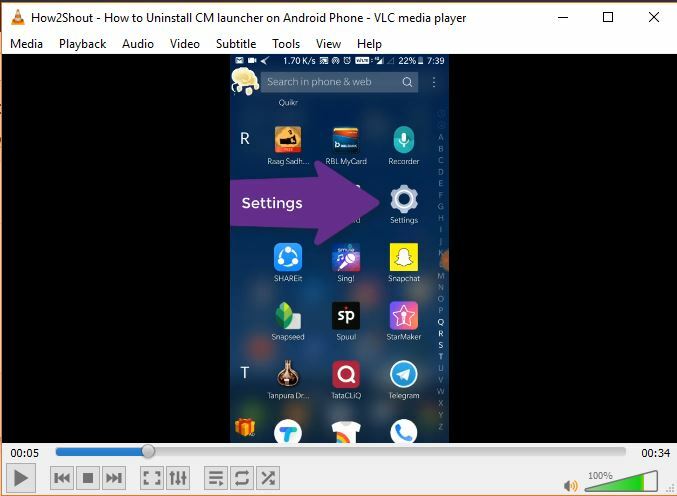 Play the video which you want to watch in the iPhone/Android VLC media player. Now tap on the Share option. 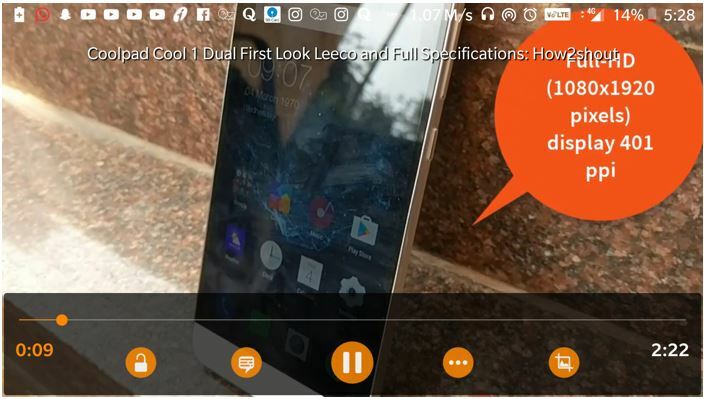 Go to your Smartphone VLC media player. Tap on the burger icon given on the top left side. After entering the link, tap on the arrow icon. 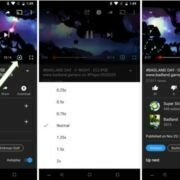 Now the YouTube video will start playing in your Android or iPhone smartphone VLC player.